This is an outstanding opportunity to occupy office space in historic downtown Tallahassee. The building was recently acquired by Bayfront Capital Partners, LLC (a boutique investment firm). They will be making significant capital improvements to the property. 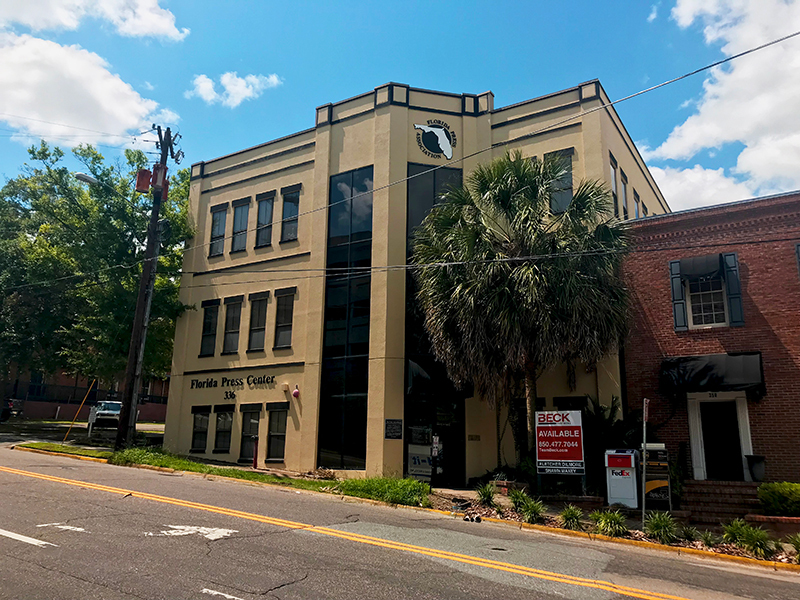 If you are looking for an affordable, clean and fantastically located building in the downtown area, the Florida Press Association building at 336 College is the perfect fit. The property is within walking distance of the Leon County Courthouse, Capitol Building and City Hall. The property is strategically located near various restaurants and hotels and boasts a number of other commercial uses.